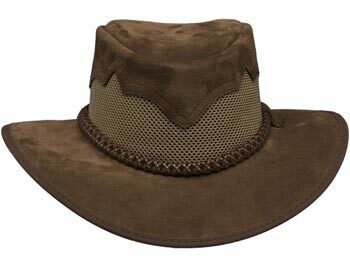 We have searched far and wide to find these beautifully hand crafted, custom designed hats. 100% AMERICAN MADE: All hats and hat bands are handmade in California. All the leathers and materials (even down to the thread) are 100% American made. DURABLE: These hats handle weather without any problems. Rain or snow poses no worries for the wearer. Many of these hats are fully crushable, washable, packable, and all offer great sun protection. COMFORT FIT SYSTEM: Each hat can be the custom sized to be the perfect fit. Each hat comes with a sweat band is also removable for easy cleaning or replacement. 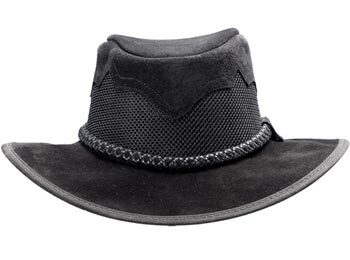 This velcro attaching system is one the hats best features since it allows wearing comfort and flexibility in size adjustment.